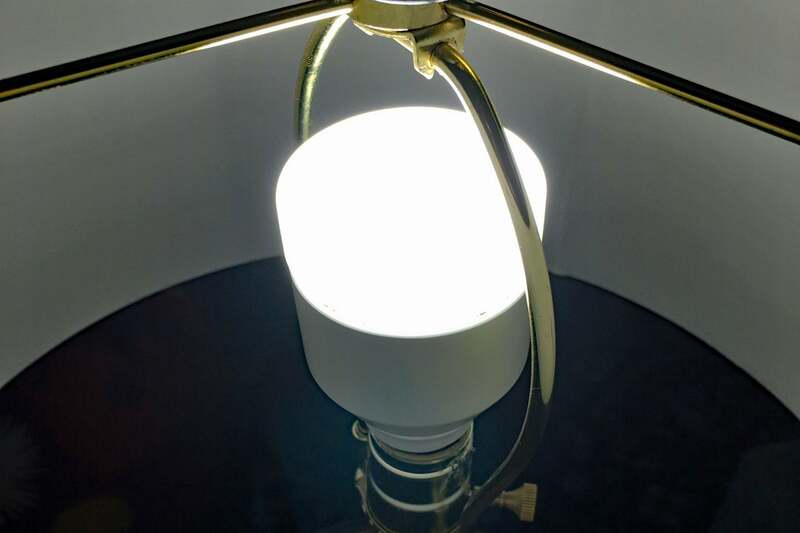 LIFX’s color-tunable bulb excels, but its white bulb simply doesn’t hit the same highs. Let’s start by looking at the specs. At 890 lumens max, it’s the brightest bulb in this roundup. 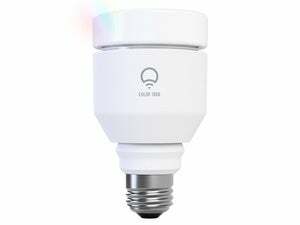 As with the LIFX Color 1000, however, most of that light is directed upward rather than to the sides of the bulb. That means that when you compare it to the 1055 lumens of the Color 1000, it actually seems relatively dim. The LIFX White 800 has the same cylindrical shape and almost the same dimensions and weight as its color progenitor, which makes it still a bit large, though reasonably small enough to fit comfortably into most fixtures. Again, as with other LIFX products, it connects to your network directly via Wi-Fi, which means no hubs are needed to tie the bulb into your network and enable its control-from-anywhere features, something that Bluetooth bulbs just can’t do. 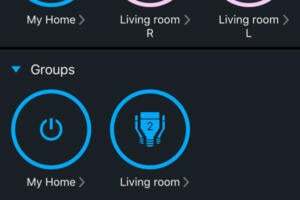 The LIFX 800 can be dimmed with its app, but it will flicker badly if you try to control it with a conventional or Z-Wave dimmer switch. From there, things start to diverge. I’ve praised LIFX’s color bulbs for their ease of setup and seamless usability. Strange then that trouble plagued me from the start with the White 800, ranging from a relatively rocky setup that had me mired in a seemingly infinite loop of proposed firmware updates that had already been completed to innumerable application crashes. What prompted these might have something to do with the Effects system, which is clearly tailored toward color bulbs but isn’t disabled on these. 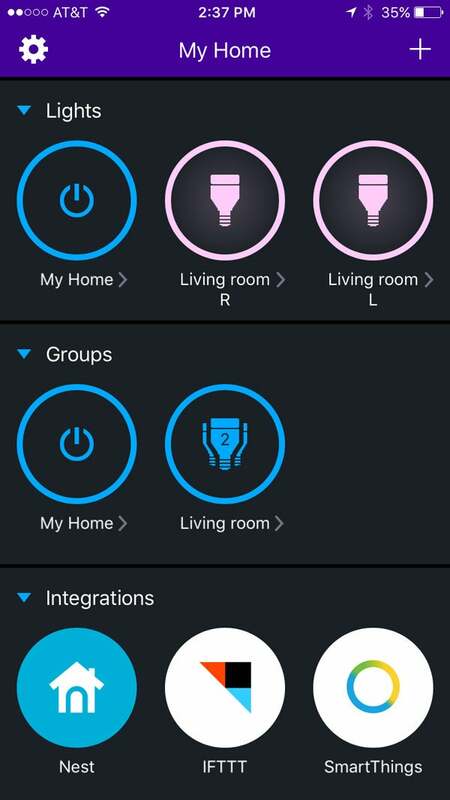 The LIFX app has a well designed user interface, but it wasn't as stable as we would have liked. her. For what it’s worth, I couldn’t get the Music Visualizer to work at all. Perhaps these are merely growing pains or a one-off experience, though it’s worth noting that the White 800 is now about a year old. I experienced similar problems with two different White 800 bulbs. In practical terms, few users are likely to be buying white bulbs for their “party modes,” and the LIFX White 800 lights are solid enough when being used for more straightforward temperature tuning. The scheduling system is a little clunky, but if you want to set the bulbs to emit cool light in the morning, switch to warm light in the evening, and turn themselves off the rest of the time, once you work your way through the setup, you might not really have to engage with the app again. 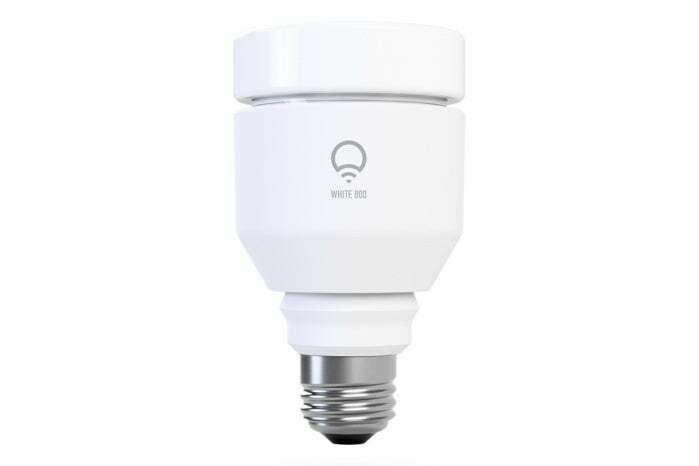 The white version of LIFX’s Wi-Fi connected bulb lacks the maturity of its color sibling. But if you hate dealing with hubs, it’s still worth a look.